You are not the only one, my friend. Five years on …this still doesn’t exist; this is still something that every single web designer/developer I know is crying out for. How do we make :parent happen?Polyfill? Post-CSS? A WC3 community group? It’s Jeremy Keith rooting for the parent selector in CSS in a comment made in Remy Sharp’s blog. A feature developers have been awaiting for ages, but which seemingly will not to land in our browsers anytime soon. I nodded at the first suggestion made by Jeremy (a Polyfill), but questioned how the second one would even be possible to realise. PostCSS is a good way to optimise existing CSS code, but how can we add functionality in CSS by just modifying syntax? With this question raised, Andrey’s talk from CSSConf now up and online on Youtube, and the A List Apart preprocessor panel discussion mentioning PostCSS and transpiling, I slowly realised the following: The idea of postprocessing finally has reached developers, but its scope is still a myth to some. Every time you hear something like this, ask yourself: based on what benchmark? The PostCSS developers not only provide us with their findings, but also tell us how they got here. Take a good look at their preprocessors benchmark. They load a compiled Bootstrap file, which is good for checking how fast and efficient their syntax tree is created, and add about four to five lines of code representing various concepts like mixins, variables and nesting rules. The data is prepared and piped through various preprocessing alternatives. The results are impressive, but hardly comparable to a real world scenario. Let’s try a different approach: Rather than using a pre-compiled version of Bootstrap, let’s compile Bootstrap itself. Gulp’s Sass plugin based on libsass compiles Bootstrap in roughly 350 milliseconds. PostCSS, just importing files and replacing one variable takes more than 5 seconds. Note that there’s a huge jump when using the variables plugin (which might not be as good to begin with), but consider that we aren’t even close to including all the Sass features used by Bootstrap. Benchmark results are always something to reconsider, as they’re most likely tailored to support one technology’s strengths and hide their weaknesses. Same goes for the example above: This setup was designed to have a positive outcome for Sass and a negative one for PostCSS. However, which one’s more likely to be more up the way how you work? You decide. PostCSS faster than anything else. No. (Or: not necessarily). Custom properties already work in Firefox, so check out the example on Codepen. Having custom properties available in the cascade shows the one true strength of this new specification, and definitely needs either a Polyfill or browser support. It’s not something we can just teach our browser by using it. This idea of using new CSS features that aren’t even implemented right now is not that new. You might remember Myth, stating the very same. My colleague Rodney Rehm de-mystified the idea of polyfilling in CSS in great detail in his article from 2013. Go read that, it’s not only highly recommended, but also known by all Future CSS tools you find out there. Did you ever wonder why this new syntax of next generation CSS is so totally unfamiliar to the things we know from years of using preprocessors? Mainly because CSS’ syntax is meant to be used in an environment where it will also be executed: The browser. It relies on functionality and implementation details that cannot be recreated by simply processing it. So, PostCSS for Future CSS? No. (Or again: not necessarily). Preprocessors are meant as authoring tool, to provide some comforts while producing CSS. The goal for them is to make editing and crafting CSS as convenient as possible. Postprocessors on the other hand take an already complete and runnable CSS file and add additional information to optimise the output. Tasks include minification, concatenation and applying fallbacks. Things that are meant for automation. When written down, you see that each of those concepts stands on its own and has little to no overlap with the other one. But when we look at the tools implementing those concepts, those areas are not black and white anymore. CSS has a very easy syntax, one that can be interpreted by preprocessors like Sass or LESS. With the SCSS syntax being a strict superset of CSS, every CSS file becomes a valid Sass file. 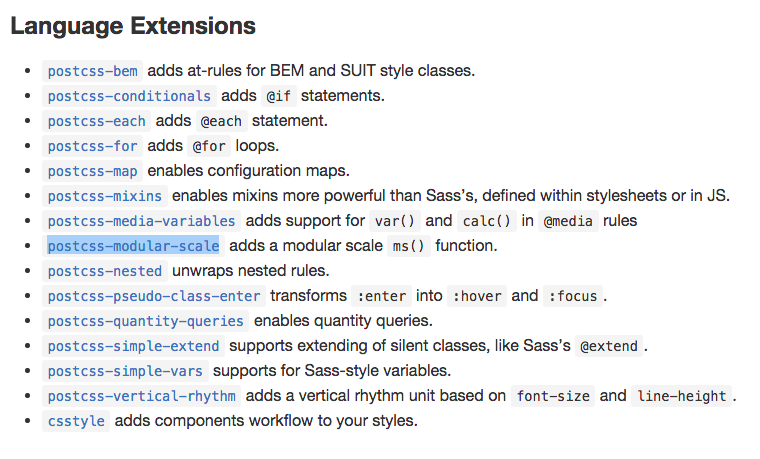 This means that as an author, you do not have to use any of Sass’ features like mixins, nesting or variables. Instead, you can just use Sass to bundle your styles into one file and minify it for optimised output. So Sass as a tool already includes postprocessing steps. LESS, with its plugin architecture, can also run autoprefixing and advanced CSS minification as processing step, with it still being labelled as preprocessor. On the other hand, PostCSS has a wide variation of syntax extensions, some of them even providing Sass-like syntax and even at-Rules like “for”, “if” and sorts. Language extensions that are clearly not part of the CSS specification. And most likely never even will be. So how does PostCSS differ now from a preprocessor? The answer is: It doesn’t. Not at all. Does a PostCSS extension automatically add a postprocessing step? No. (You guessed it: Not necessarily). The role of PostCSS in the greater scheme of things … or at least in mine. One might think that I’m a strong opposer of PostCSS, but I am not. Actually quite on the contrary. There’s one thing PostCSS does absolutely right: Providing an easy and flexible way to access the abstract syntax tree, for changing and modifying attributes. I wouldn’t want to work without tools like Autoprefixer anymore, and having a fast way to add pixel fallbacks or calculate a media query free stylesheet for legacy browsers is not only handy, but helpful and boosting productivity. 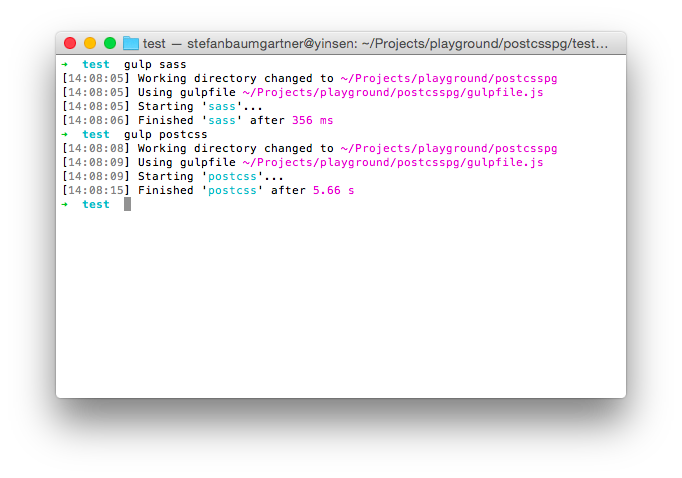 There are a lot of things that should be done in postprocessing steps, and for those things I do use PostCSS. As an authoring tool, however, I don’t like it so much. Using next generation CSS syntax like var and calc, and not being able to use them in their full scope is misleading. And for just using them in a reduced way the syntax is way too convoluted. 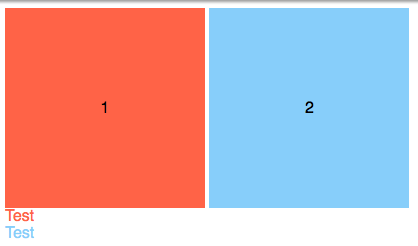 Math and variables in Sass are easy, and for the moment, more powerful when you are in the process of creating. Same goes for language extensions. Mixins in Sass are easy to use and follow a pattern that identifies them being from the Sass superset rather the original language alone. PostCSS, sticking to a parsable CSS syntax tree has some constraints there, thus additions like mixins or operators like for and if seem a little tacked on. Other additions, like having a clearfix hidden in a CSS property, blend a little too well with the surrounding real CSS to be spotted by people who might not be so familiar with your way of creating CSS. It might be outright considered … harmful (it isn’t, wink wink). Huge thanks to Betty Steger, Anselm Hannemann and Laura Gaetano for their feedback!